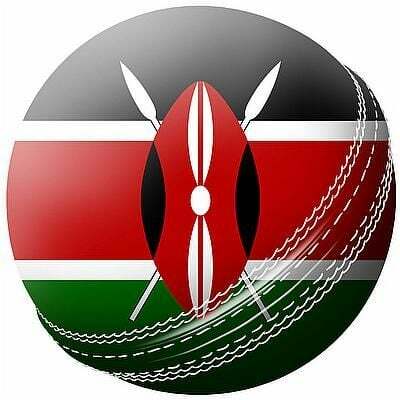 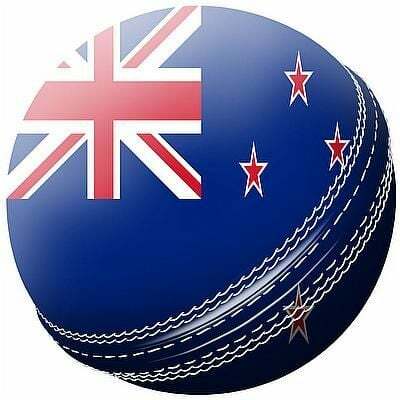 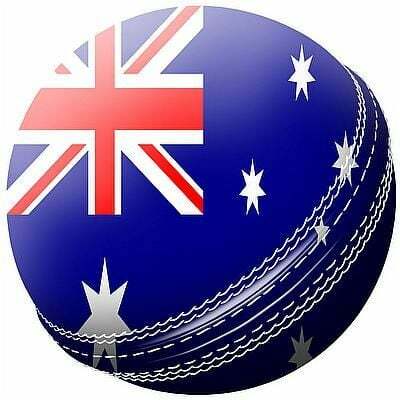 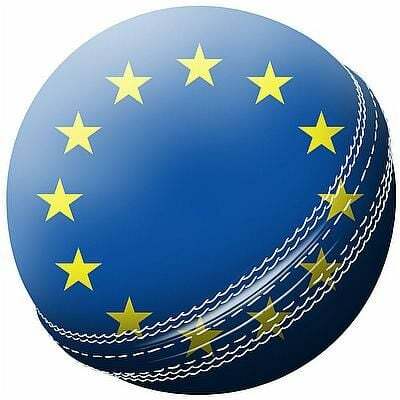 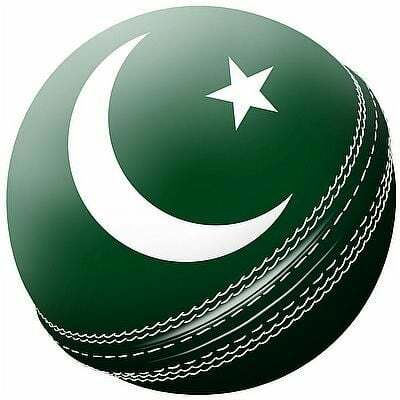 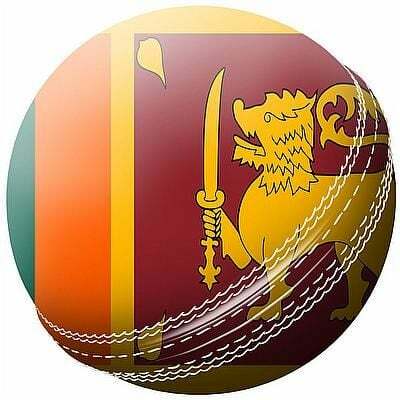 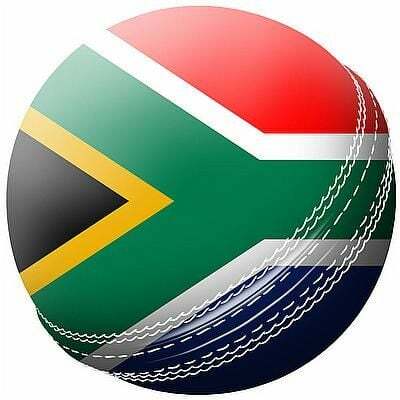 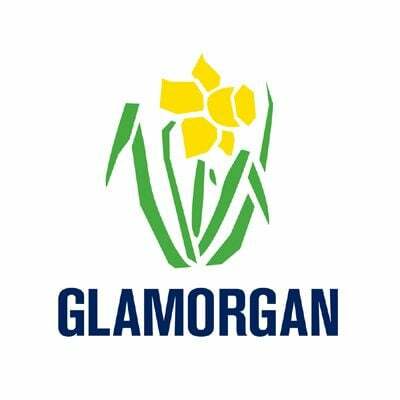 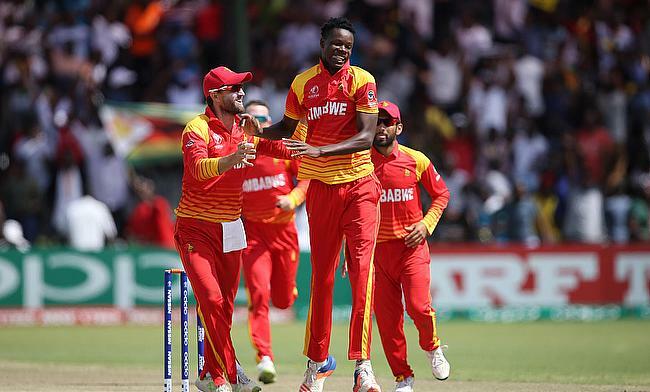 The tournament comprises of 10 teams including host Zimbabwe, West Indies, Afghanistan, Hong Kong, Ireland, Scotland, Netherlands, Papua New Guinea that has been split into two groups with the top two teams set to qualify for the ICC World Cup 2019 to be played in England. 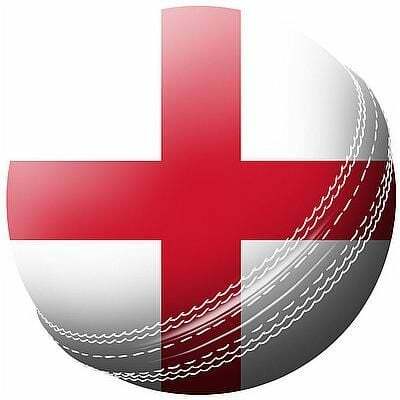 The tournament will run from 4th and 25th March. 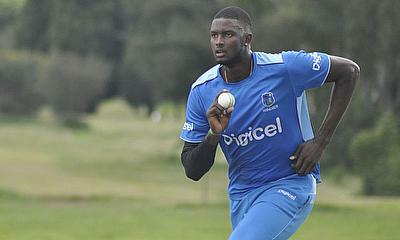 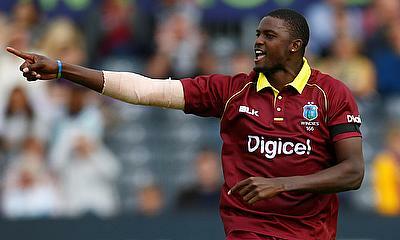 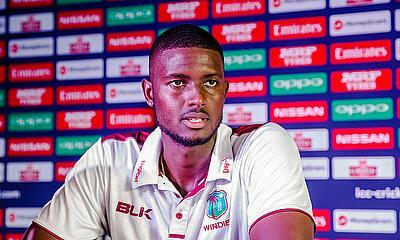 Windies captain Jason Holder has been named as captain of the Team of the ICC Cricket World Cup Qualifier 2018, which was announced on Monday. 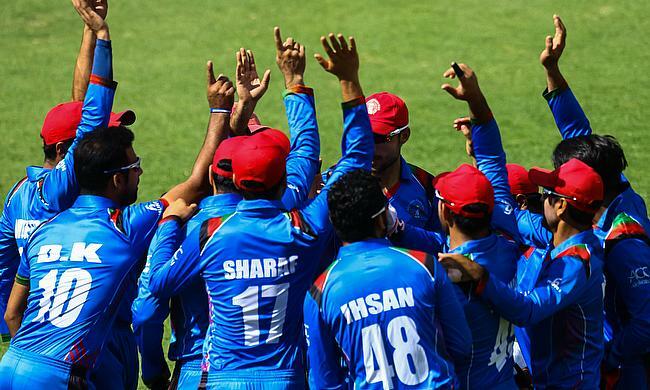 Mohammad Shahzad scored a blistering 84 after Mujeeb ur Rahman claimed a four-wicket haul as Afghanistan defeated Windes by seven wickets in the final of the ICC World Cup Qualifiers 2018 tournament in Harare. 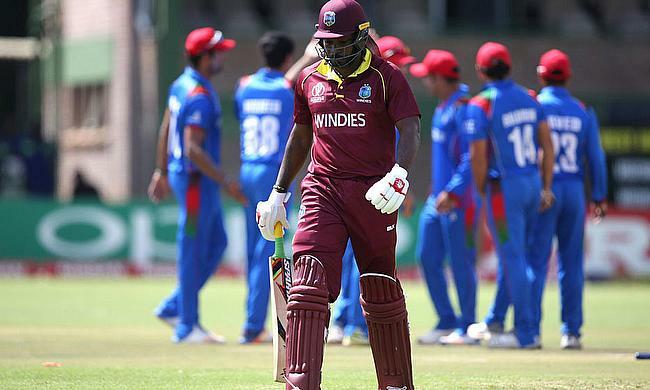 With the pressure of qualification off the back, both Windies and Afghanistan will be hoping to end the season on a high when they lock horns with each other in the final in Harare on Sunday. 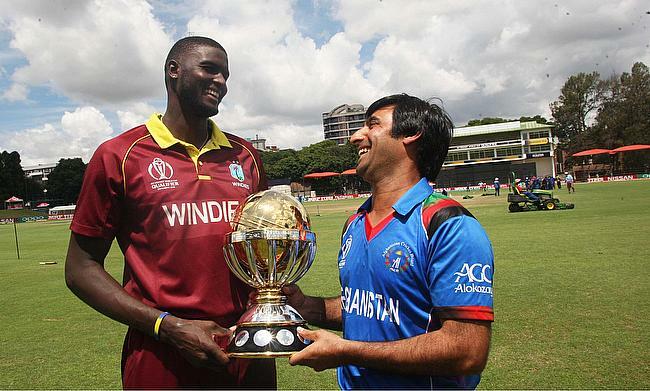 The ICC Cricket World Cup Qualifier 2018 will have new winners on Sunday when number one seeds the Windies and second-seeded Afghanistan will face each other in the final before broadcast cameras at the Harare Sports Club. 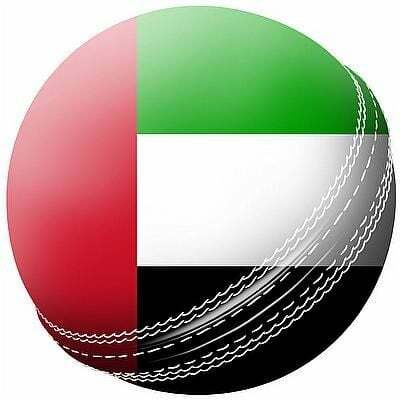 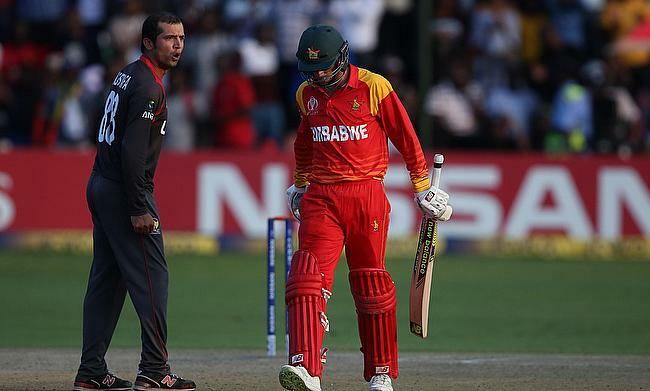 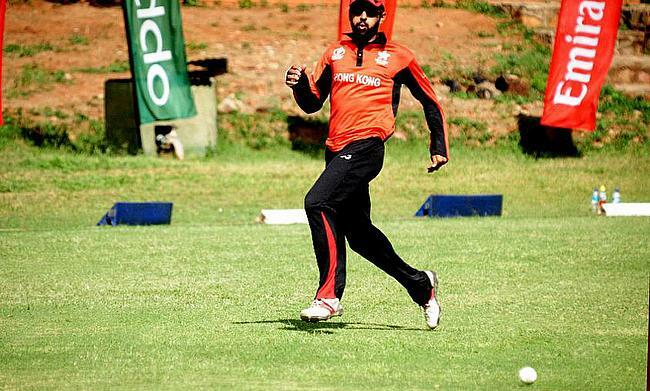 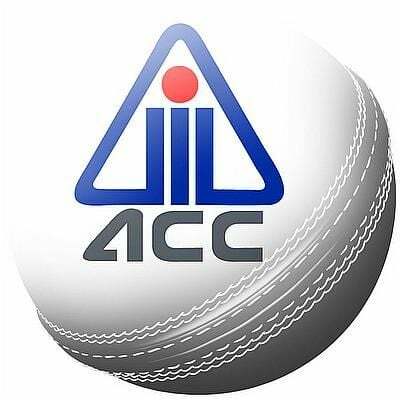 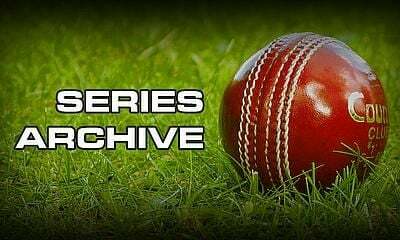 The International Cricket Council has fined both United Arab Emirates captain Rohan Mustafa and Zimbabwe all-rounder Sean Williams for a breach of Level 1 Conduct following the recently concluded ICC World Cup Qualifiers game between the two teams in Harare. 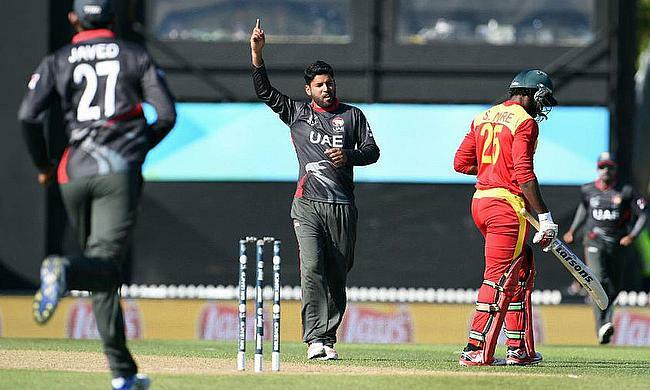 The victory of United Arab Emirates over Zimbabwe has given a lifeline to both Ireland and Afghanistan with the winner in the final game of the round in Harare having all to play for as they will join Windies in the qualification for the 2019 World Cup. 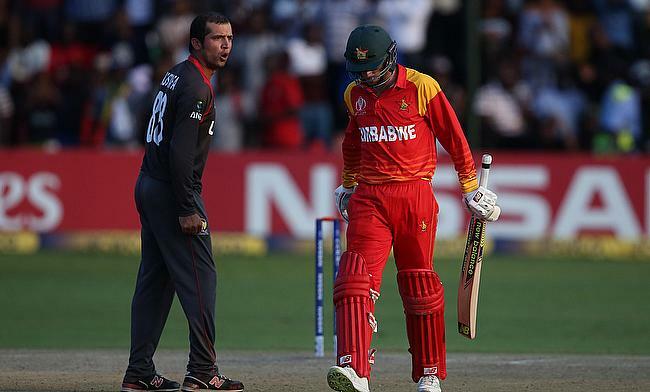 Zimbabwe's chances of featuring in the 2019 World Cup is all but over after they suffered a three-run defeat by DLS method against United Arab Emirates in the eighth game of the Super Sixes in Harare. 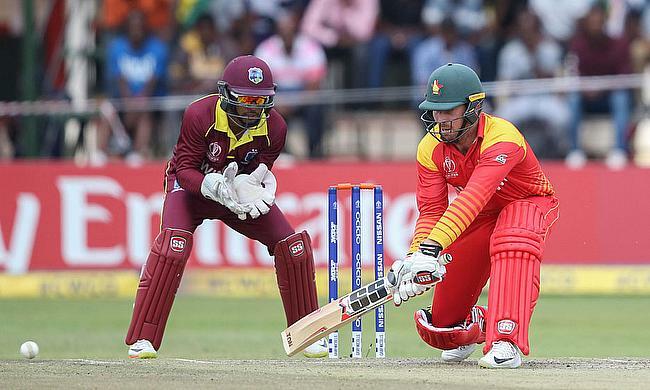 Zimbabwe will be favourites to join Windies in securing the World Cup qualification as they face United Arab Emirates in the 8th game of the Super Sixes at Harare Sports Club. 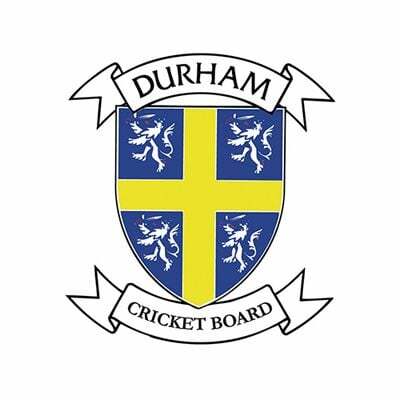 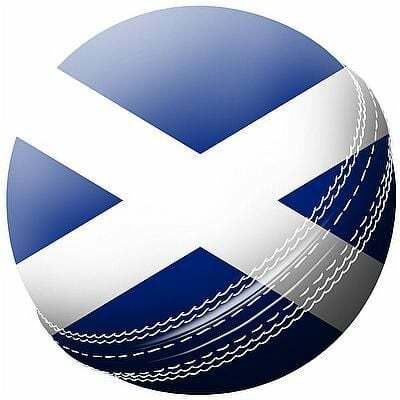 Scotland found themselves at the wrong end of the result as Windies managed to seal a five-run victory by DLS method after rain played spoilsport in the decisive 7th game of the Super Sixes in the ICC World Cup Qualifiers. 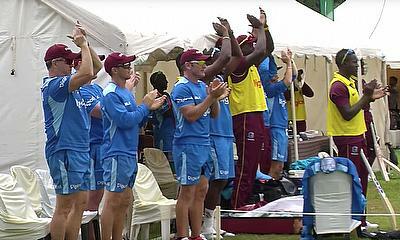 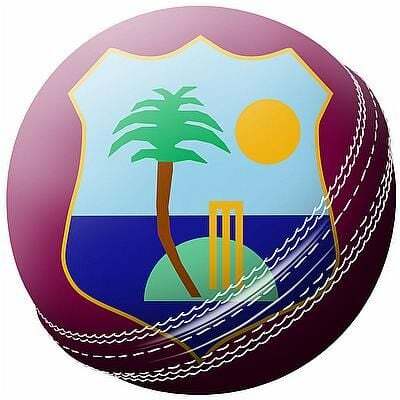 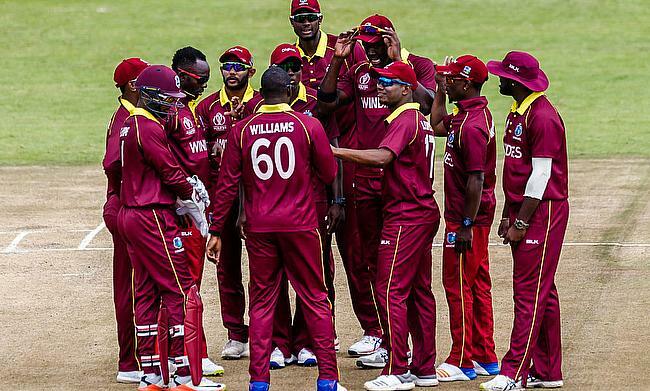 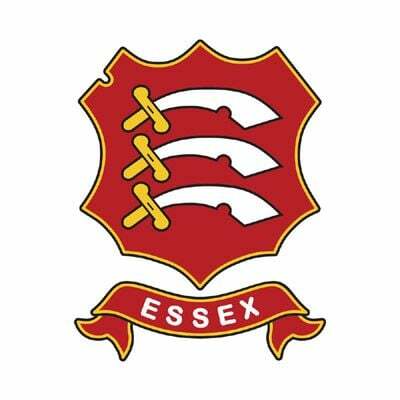 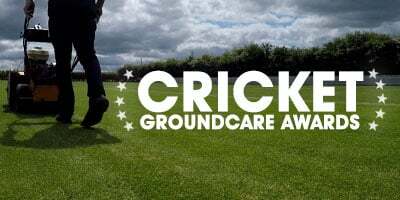 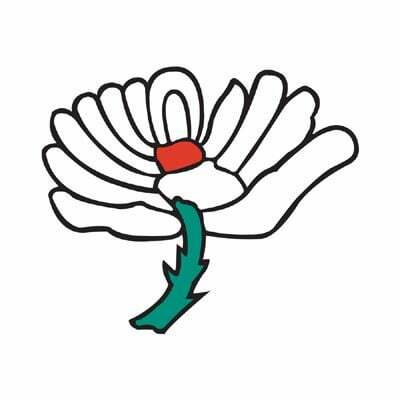 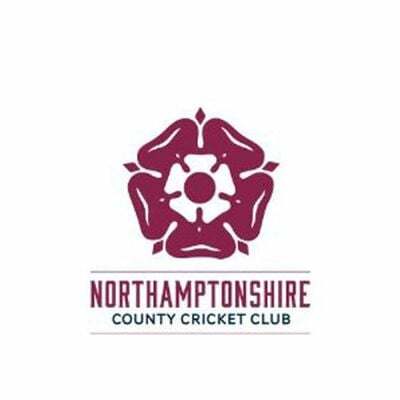 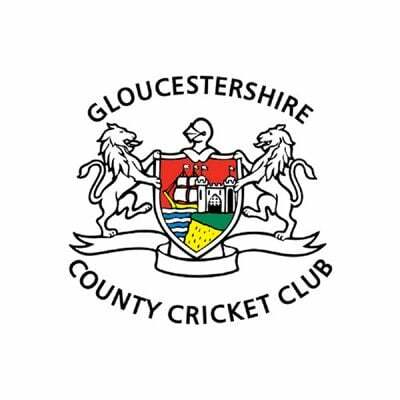 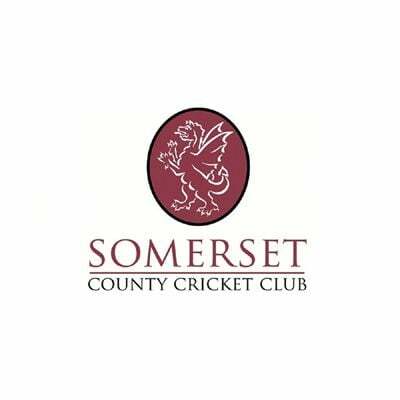 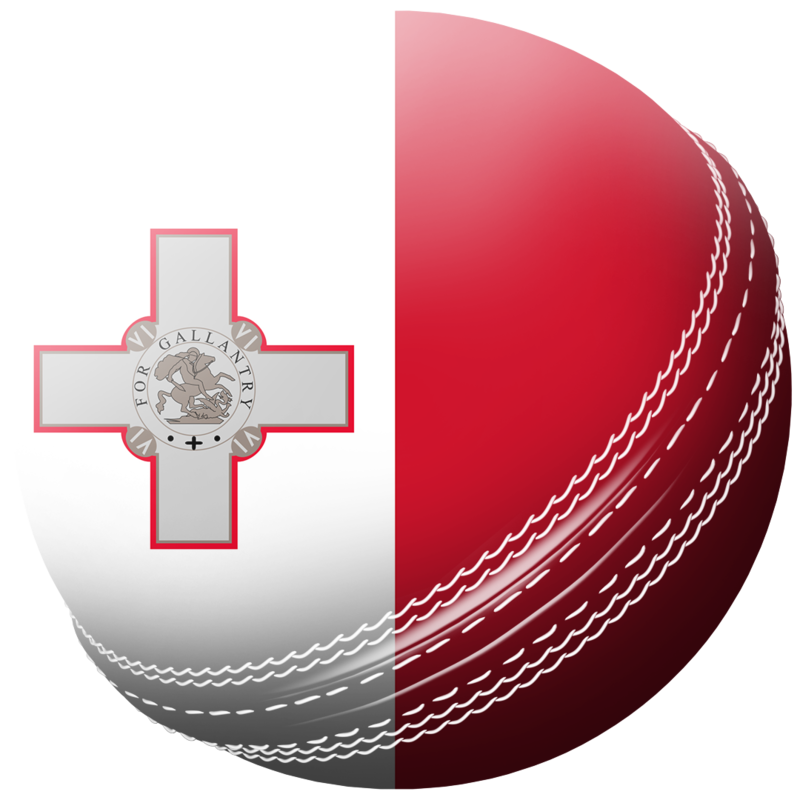 ST. JOHN’S, Antigua – Cricket West Indies applauded the WINDIES Men’s team for securing a place in the ICC Cricket World Cup 2019 England & Wales. 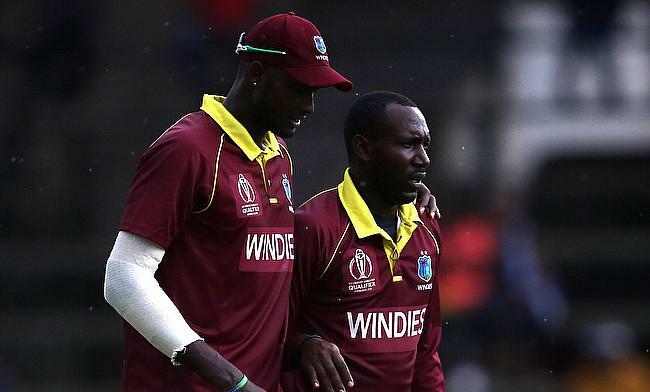 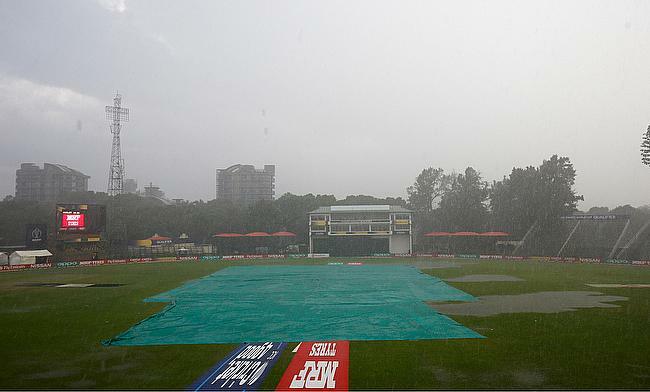 Rain came to the rescue of the Windies, who qualified for the ICC Cricket World Cup 2019 after defeating defending champions Scotland by five runs on the Duckworth-Lewis-Stern Method in a Super Six fixture of the ICC Cricket World Cup Qualifier 2018 at the Harare Sports Club on Wednesday. 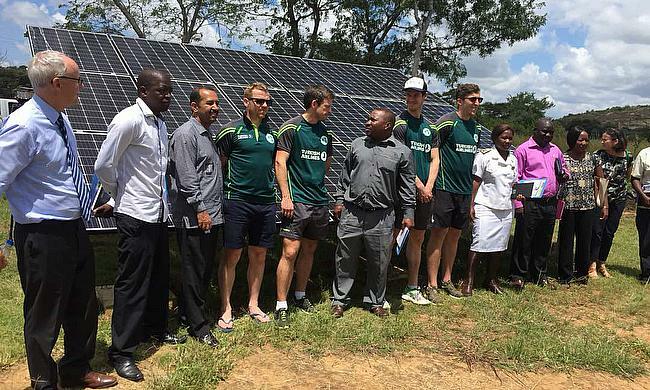 Members of the Ireland cricket team have taken time out of their busy playing schedule to meet new mothers and babies at a rural health clinic, benefiting from UK aid and Irish aid support, in Zimbabwe this week. 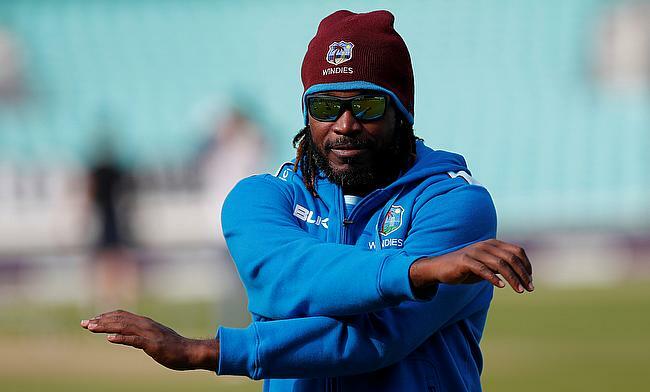 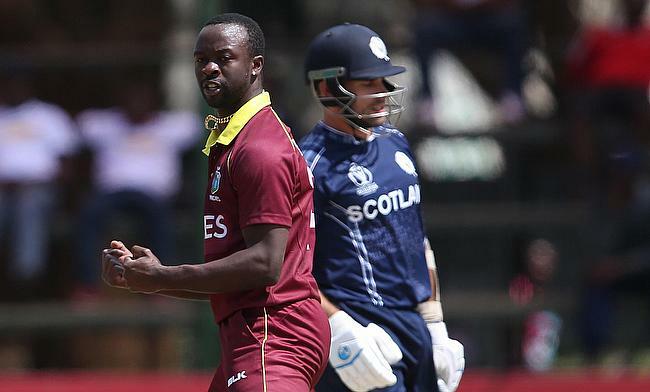 Both Windies and Scotland will aim to qualify for the World Cup when they take on each other in the seventh game of the Super Sixes at Harare Sports Club. 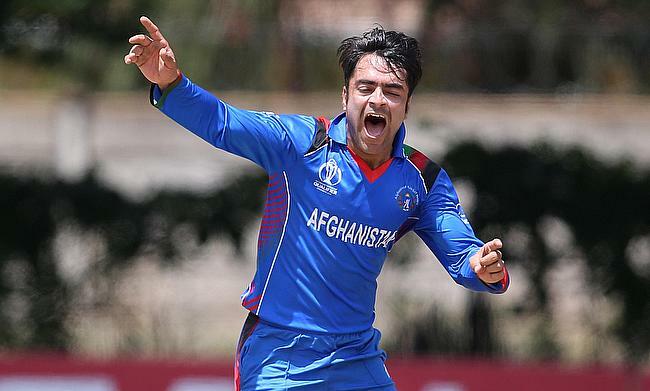 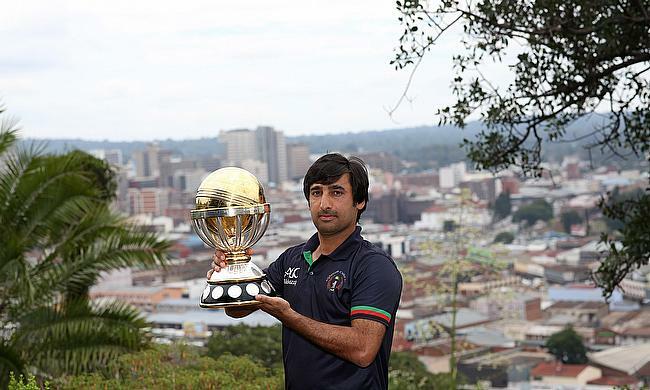 Rashid Khan claimed a five-wicket haul while Gulbadin Naib and Najibullah Zadran slammed unbeaten half-centuries as Afghanistan managed to remain alive in the ICC World Cup Qualifiers tournament with a five-wicket win over United Arab Emirates in Harare. 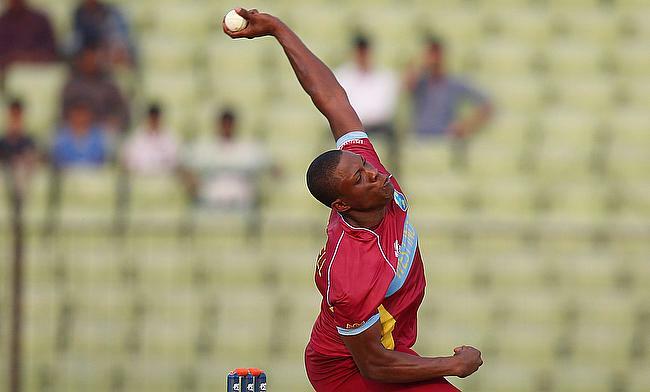 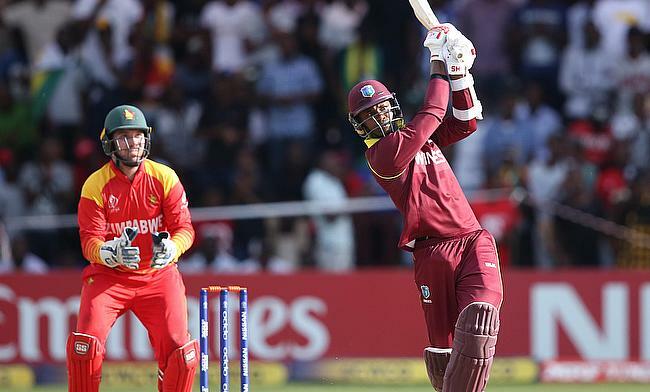 The International Cricket Council has reprimanded Windies all-rounder Marlon Samuels following a breach of conduct during the recently concluded World Cup Qualifiers game against Zimbabwe in Harare. 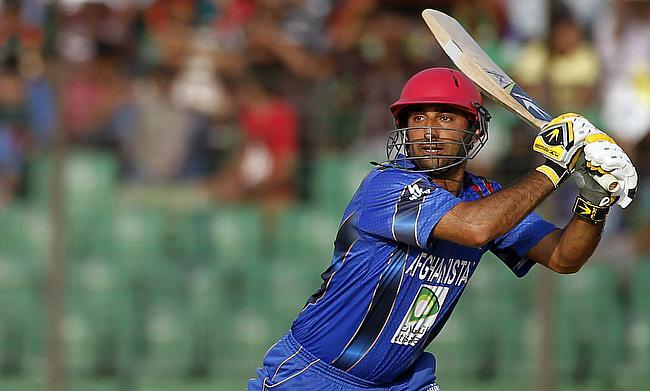 Afghanistan will be desperate to remain alive in the ICC World Cup Qualifiers when they take on United Arab Emirates in the sixth game of the tournament at Old Hararians Sports Club on Tuesday. 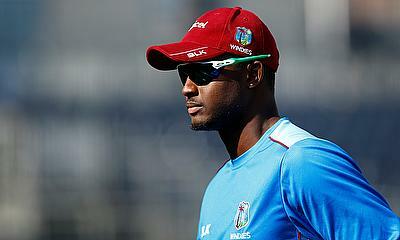 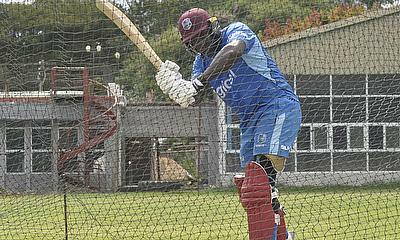 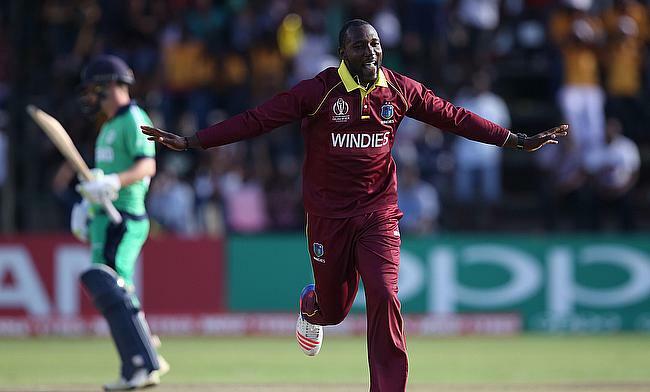 The fifth highest successful run-chase by the Windies against Zimbabwe in a Super Six match of the ICC Cricket World Cup Qualifier 2018 set-up their mouth-watering winner-takes-all match against defending champions Scotland as the battle for the two remaining places in the ICC Cricket World Cup 2019 hots up. 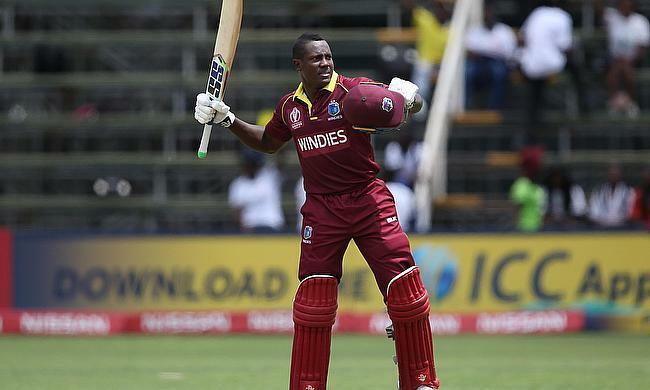 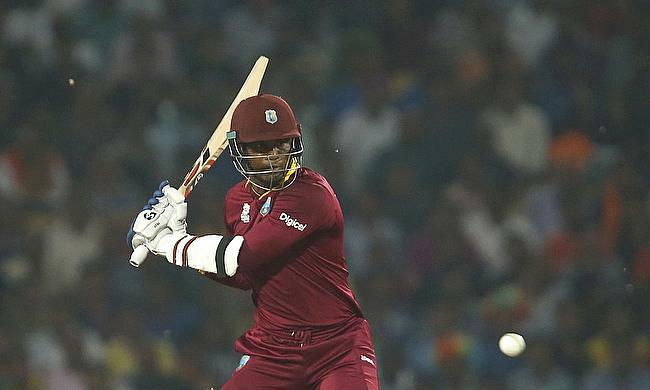 Marlon Samuels, Shai Hope and Evin Lewis all scored half-centuries as Windies strengthened their chances of a World Cup Qualification spot with a four-wicket win over Zimbabwe chasing 290 runs in the fifth game of the Super Sixes in Harare. 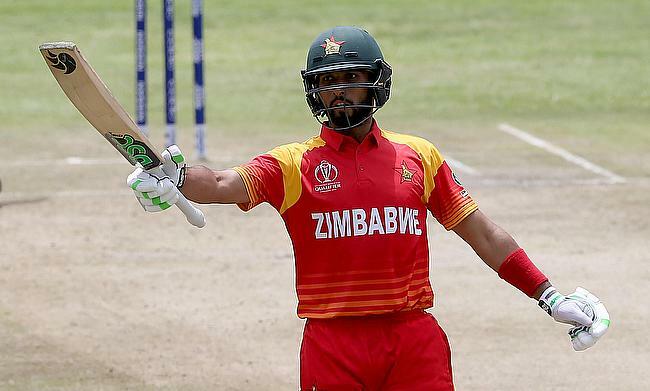 Zimbabwe will be looking to seal a World Cup Qualification spot when they take on Windies in the 5th game in the Super Sixes at Harare Sports Club. 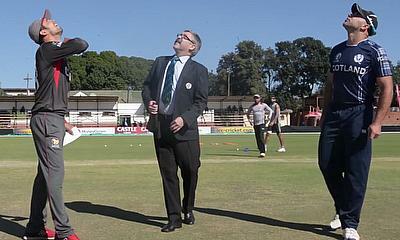 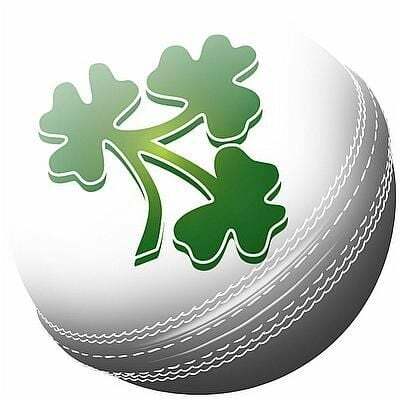 The rub of the green was certainly with Ireland on this St Patrick’s weekend, with Ireland defeating Scotland by 25 runs in a must-win clash in Harare today. 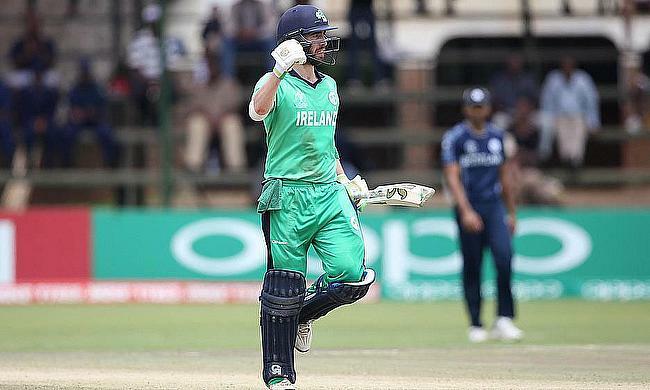 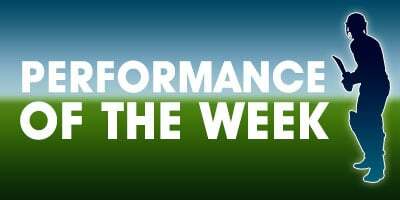 Andrew Balbirnie scored a valiant century while Boyd Rankin marked his presence with a four-wicket haul as Ireland defended 272 runs against Scotland in the fourth game of the Super Sixes in Harare to keep their chances of World Cup qualification alive. 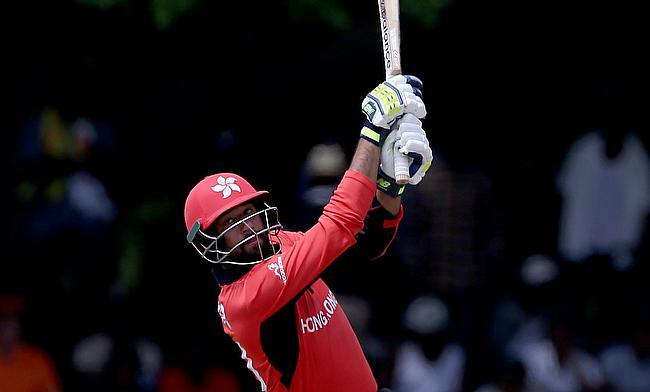 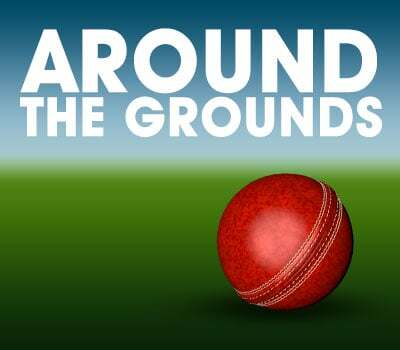 Hong Kong's Simandeep Singh has been fined 15 per cent of his match fee for breaching the ICC Code of Conduct during his side’s 9th/10 play-off match against Papua New Guinea (PNG) in the ICC Cricket World Cup Qualifier 2018 at Old Hararians on Saturday. 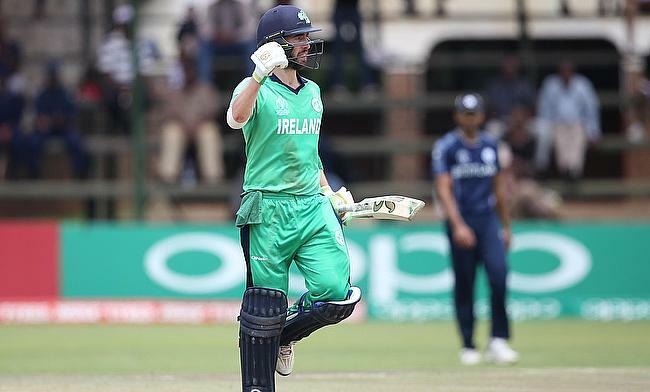 Ireland will be desperate to keep their World Cup hopes alive when they face an in-form Scotland side in the fourth match of the Super Sixes in the ICC World Cup Qualifiers in Harare. 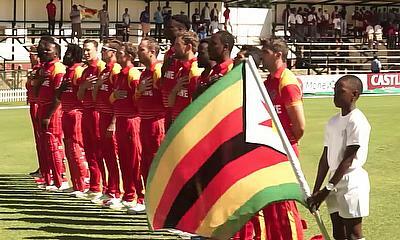 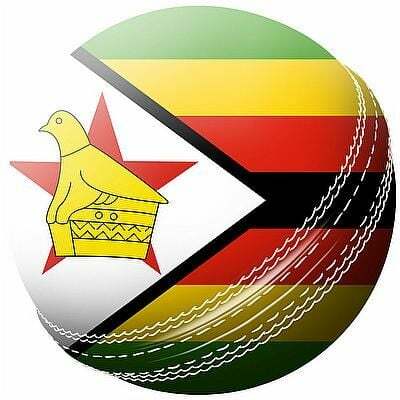 Zimbabwe came back from behind to beat Ireland by 107 runs in a Super Six fixture of the ICC Cricket World Cup Qualifier 2018 at the Harare Sports Club on Friday. 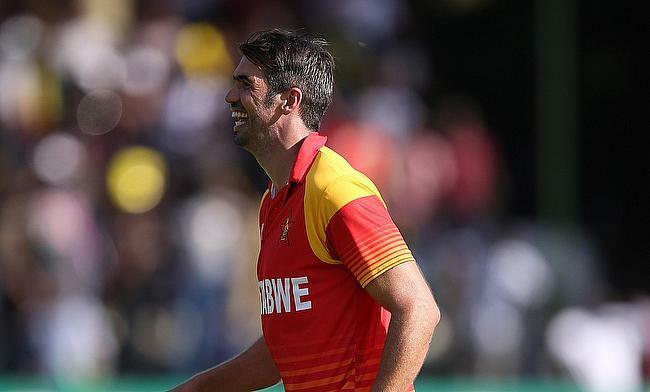 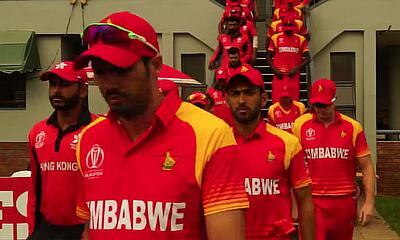 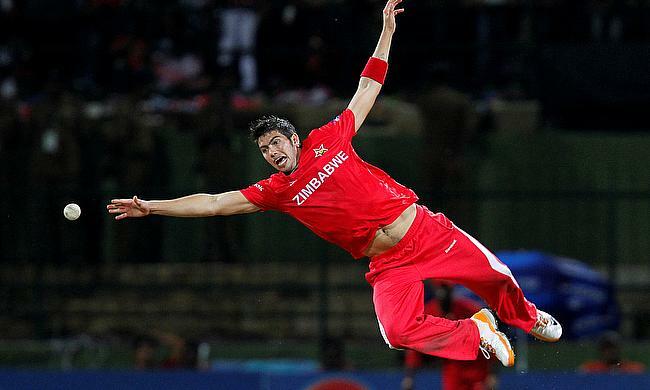 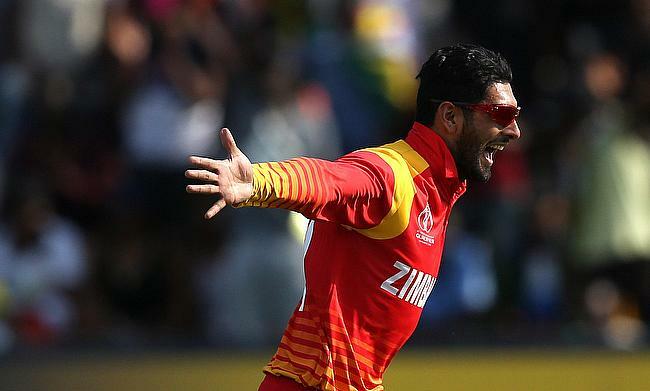 Sikandar Raza remained the only player to cross the half-century mark while Tendai Chisoro and Graeme Cremer picked three wickets apiece as Zimbabwe completed a 107-run victory over Ireland in the third game of the Super Sixes in the ICC World Cup Qualifiers in Harare. 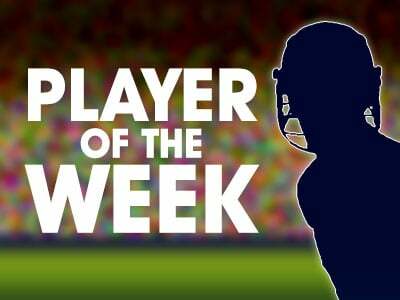 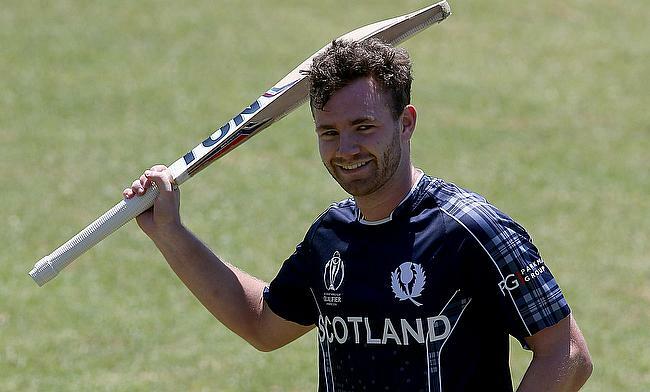 Matthew Cross scored a fine century while Chris Sole claimed a four-wicket haul as Scotland kick-started the Super Sixes stage of ICC World Cup Qualifiers with a resounding 73 run win over United Arab Emirates in Bulawayo. 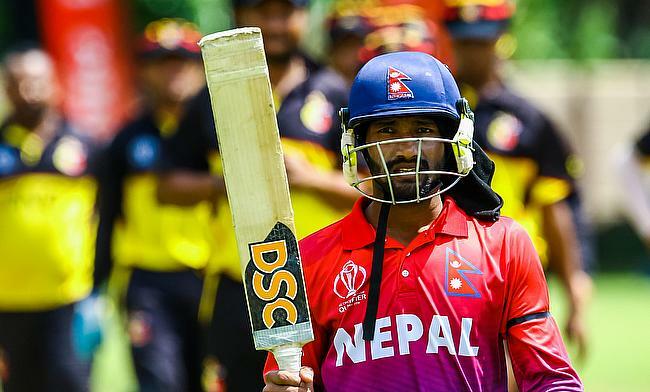 Dipendra Singh Airee picked four wickets and also scored an unbeaten half-century as Nepal went on to claim the ODI status following a six-wicket win over Papua New Guinea in the ICC World Cup Qualifiers encounter in Harare. 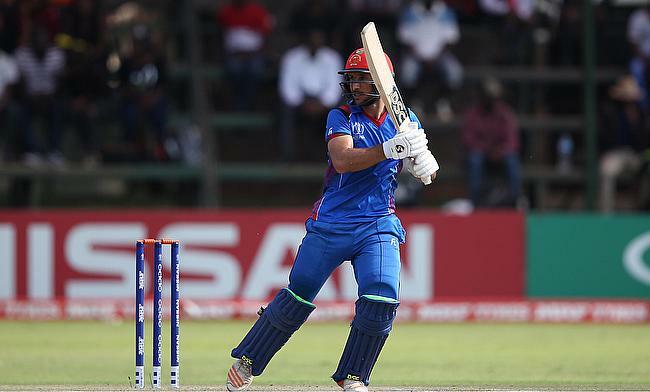 Rahmat Shah scored a valiant half-century as Afghanistan managed to overcome late strike from Windies and chased down 198 runs with three wickets in hand in the first game of the Super Sixes stage of the ICC World Cup Qualifiers in Harare. 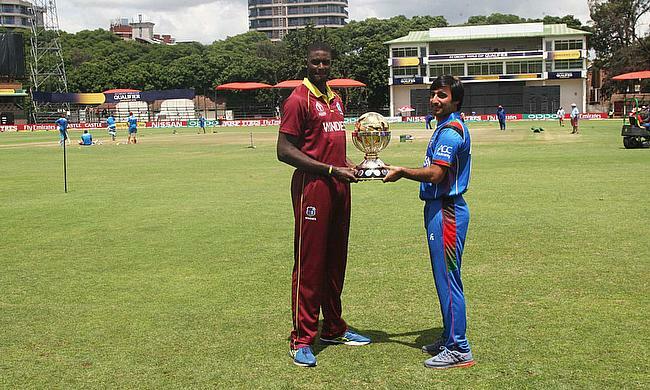 Afghanistan kept their hopes alive for a place in the ICC Cricket World Cup 2019 when they defeated the Windies by three wickets in a match of fluctuating fortunes, while defending champions Scotland went to the top of the Super Six points table by defeating the United Arab Emirates by 73 runs in the ICC Cricket World Cup Qualifier 2018 on Thursday. 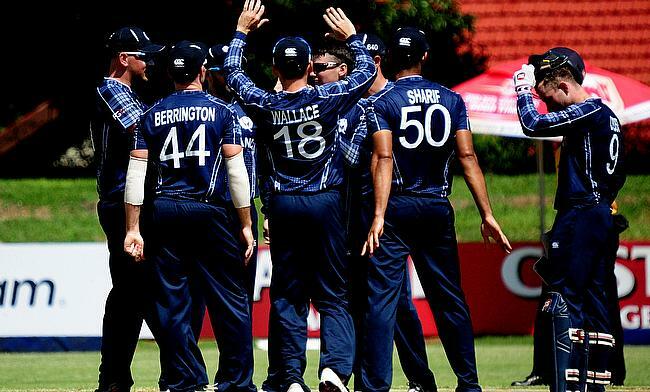 Scotland will be looking to build on their impressive run from the Group Stage when they take on United Arab Emirates in the second game of the Super Sixes in the ICC World Cup Qualifiers in Bulawayo. 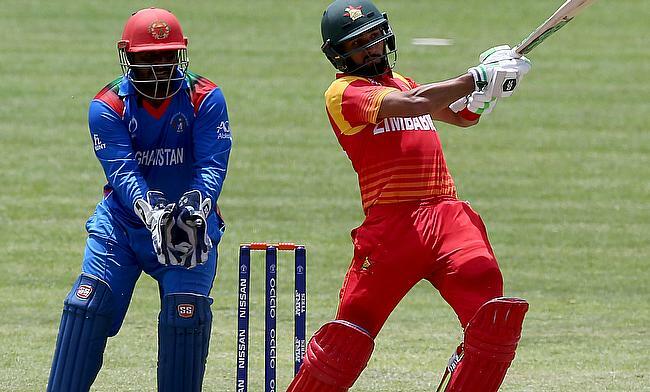 Having given a lifeline, Afghanistan will be desperate for a turnaround when they take on Windies in the first game of the Super Sixes stage in the ICC World Cup Qualifiers in Harare. 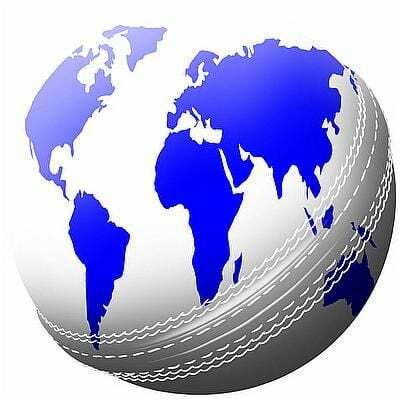 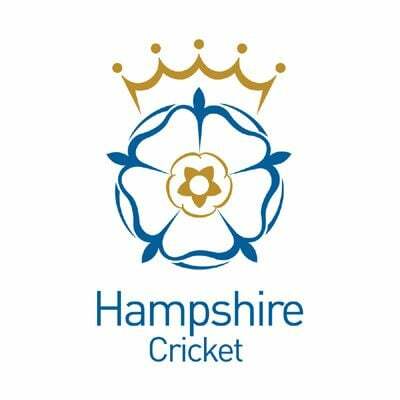 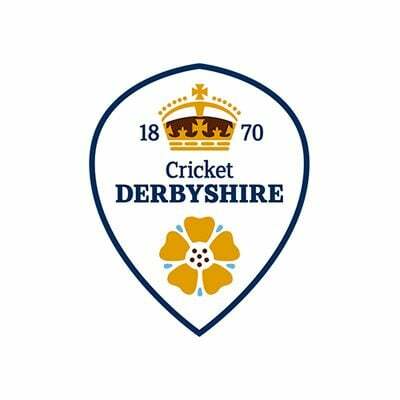 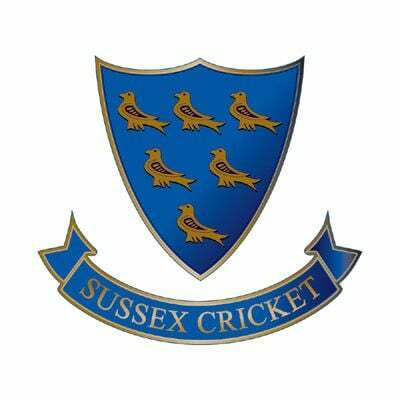 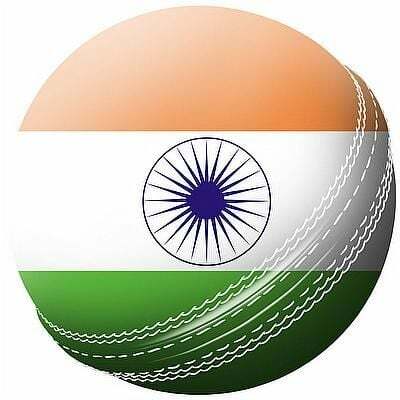 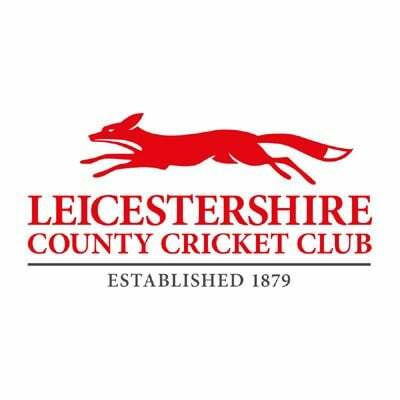 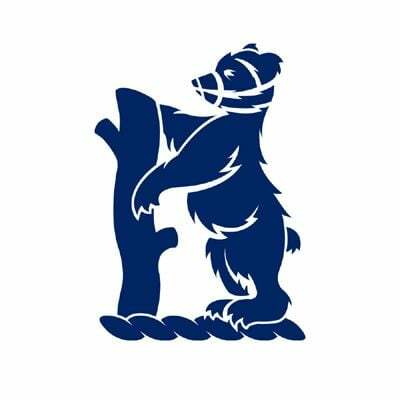 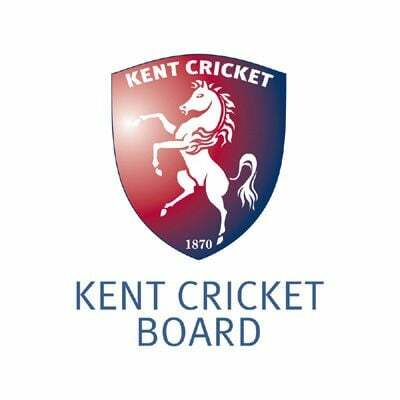 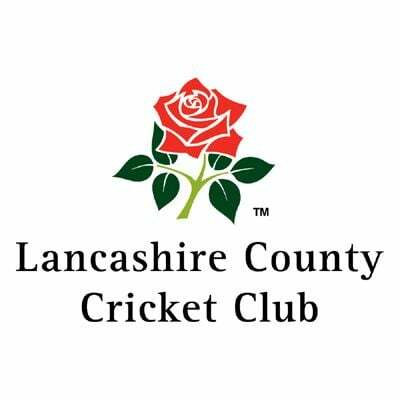 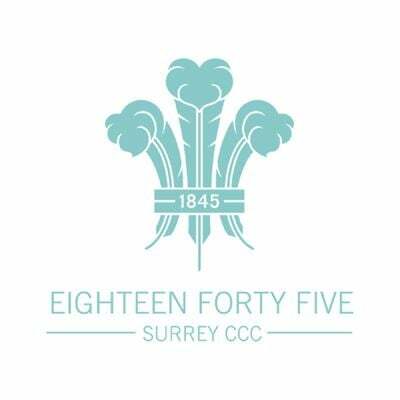 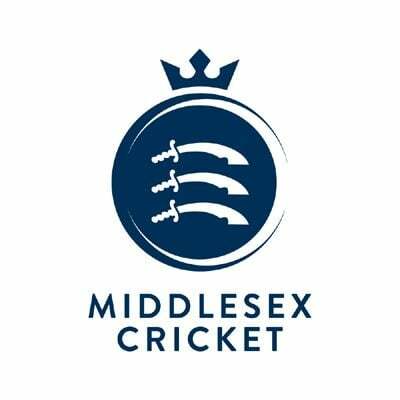 The International Cricket Council (ICC) today announced umpire and match referee appointments for the Super Six and play-off ranking matches, which will start on Thursday, 15 March. 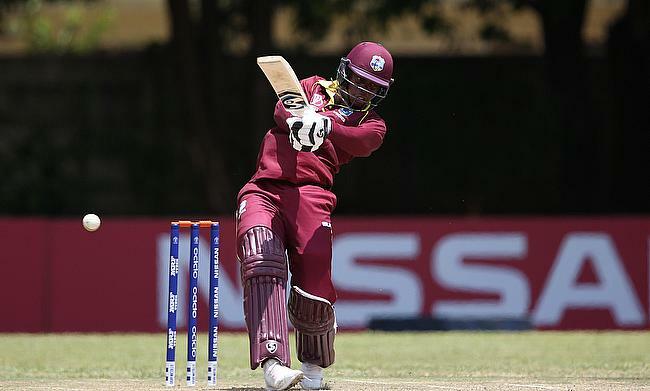 Windies came up with a dominating batting performance that saw them defeat Netherlands by 54 runs by DLS method in the rain-hit 17th game of the ICC World Cup Qualifiers encounter in Harare. 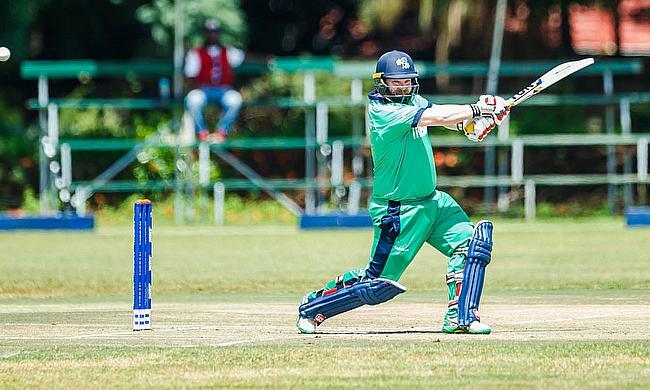 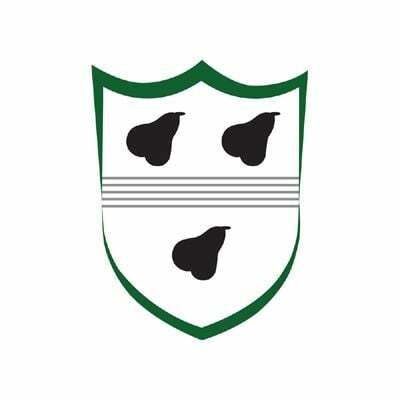 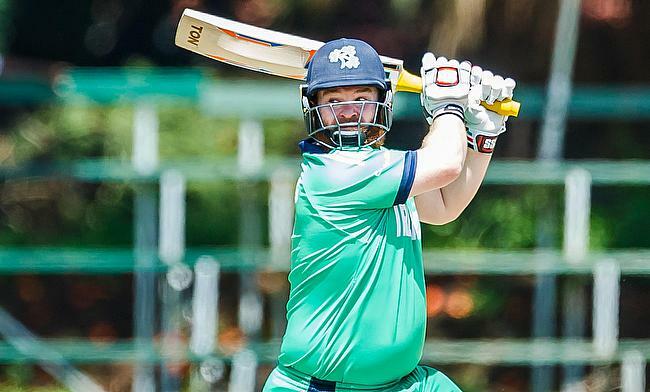 Paul Stirling and William Porterfield contributed 126 and 92 respectively as Ireland overpowered United Arab Emirates by 226 runs DLS in the rain-hit 44-over game of the ICC World Cup Qualifiers in Harare. 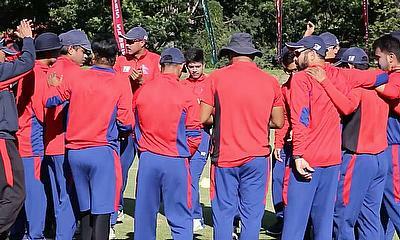 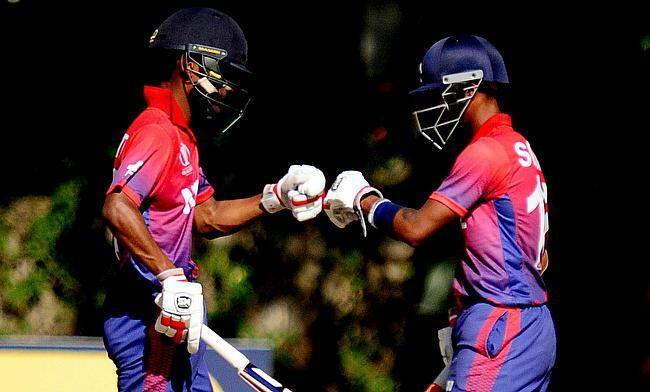 Nepal have kept their hope of achieving ODI status following their five-wicket win over Hong Kong in the 19th game of the ICC World Cup Qualifiers in Bulawayo. 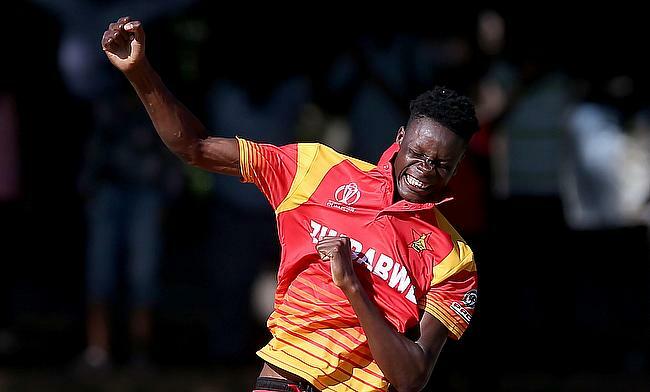 Blessing Muzarabani picked the decisive final wicket of Bradley Wheal as Zimbabwe managed to come from behind and tie their final Group B encounter in the ICC World Cup Qualifiers against Scotland in Bulawayo. 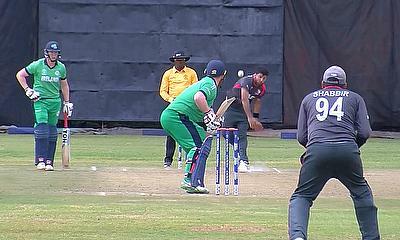 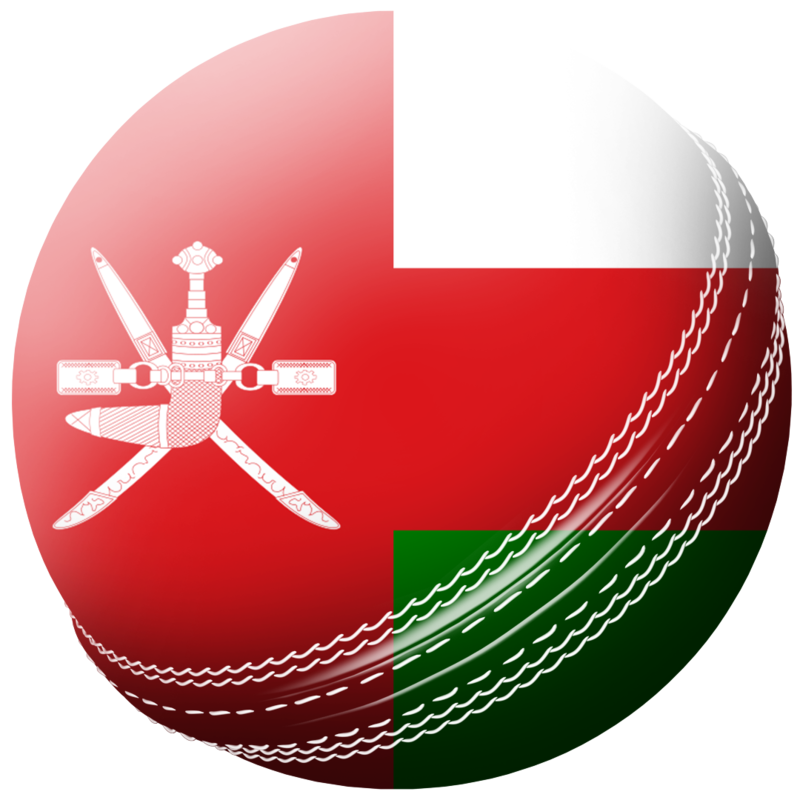 Afghanistan, Ireland and the United Arab Emirates reached the Super Six stage of the ICC Cricket World Cup Qualifier 2018 in contrasting styles on the final day of the group matches on Monday to join defending champions Scotland, two-time former world champions the Windies and hosts Zimbabwe. 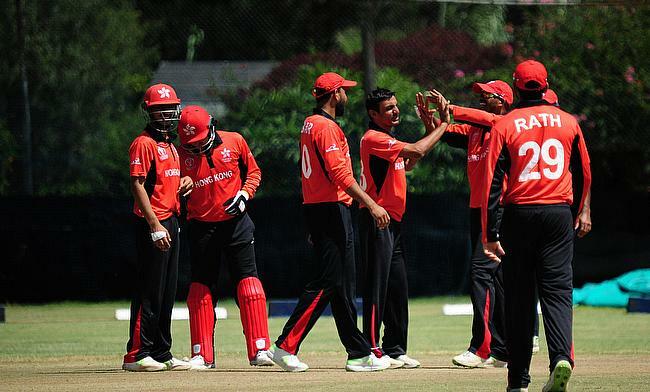 Hong Kong will have all to play for with an eye on qualification to Super Six when they face Nepal in the final Group B encounter of the ICC World Cup Qualifiers 2018 in Bulawayo. 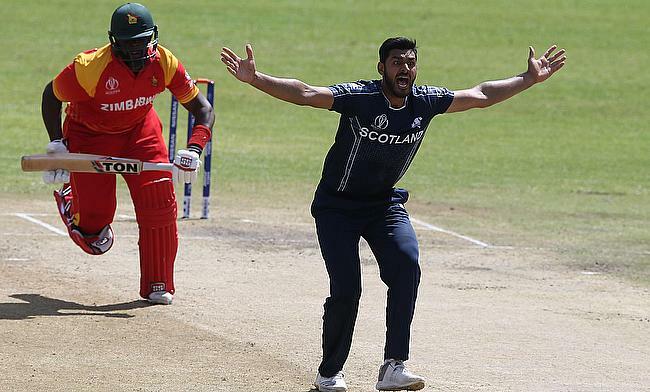 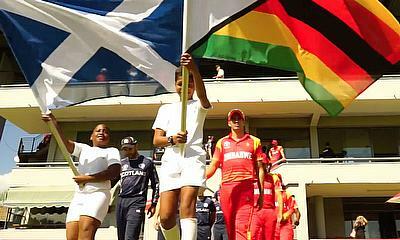 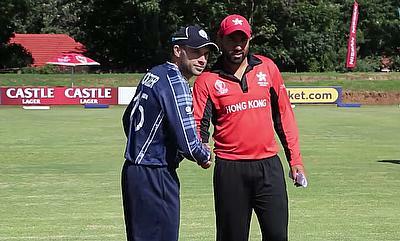 The top position in Group B will be at stake when Zimbabwe and Scotland lock horns with each other in the 20th game of the ICC World Cup Qualifiers 2018 in Bulawayo. 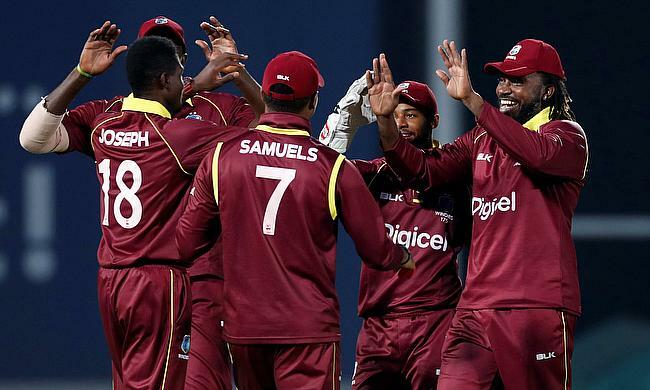 Windies will be hoping to head into the Super Six undefeated when they face Netherlands in their final group stage encounter of the ICC World Cup Qualifiers 2018 in Harare. 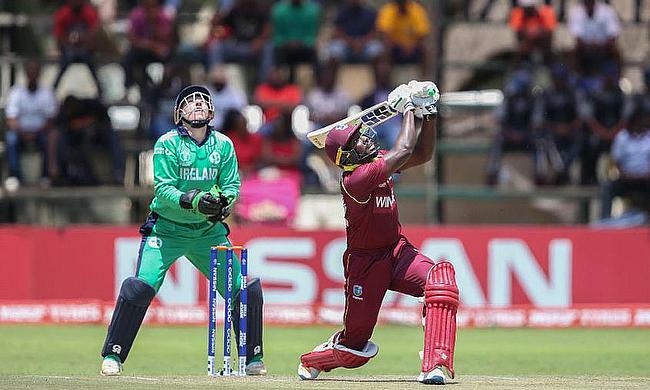 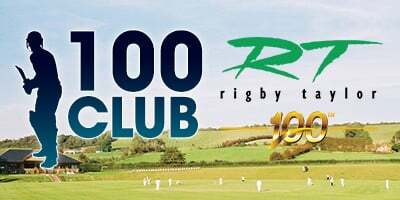 Rovman Powell scored a terrific century while Kemar Roach and Kesrick Williams picked four wickets apiece as Windies stormed into the Super Six stage of the ICC World Cup Qualifiers 2018 with a 52-run win over Ireland in the 13th game in Harare. 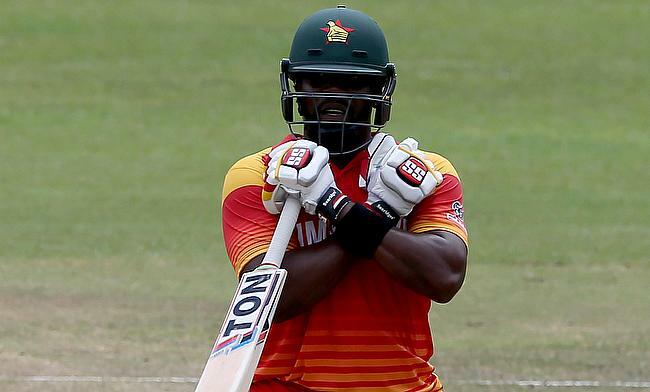 Hamilton Masakadza played a decisive 84-run knock to help Zimbabwe complete a 89-run victory in the 15th game of the ICC World Cup Qualifiers against Hong Kong in Bulawayo to claim a spot in the Super Six. 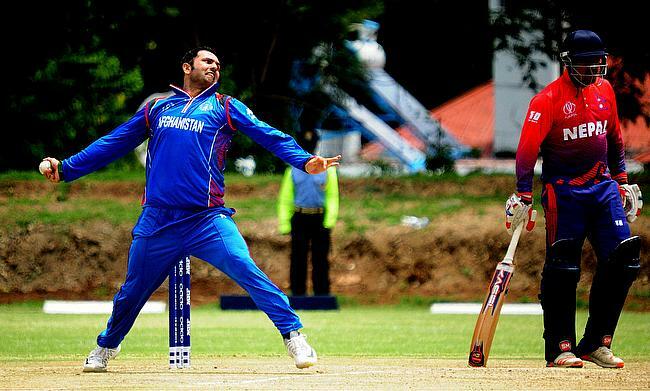 Mohammad Nabi and Rashid Khan shared seven wickets between them as Afghanistan restricted Nepal to 194 and later chased down the target in the 39th over with six wickets in hand to keep their hope of making to the Super Six in the ICC World Cup Qualifiers 2018 alive. 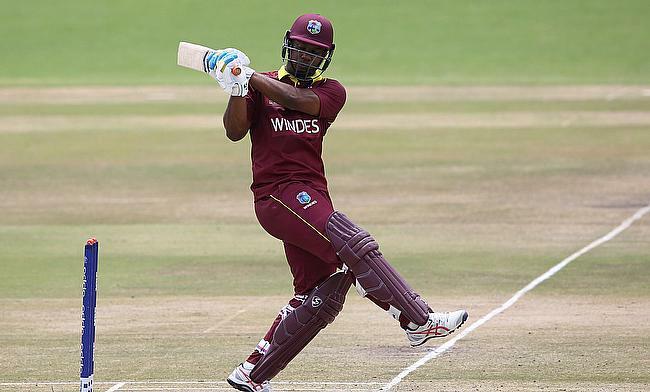 An eye-catching maiden century by Rovman Powell steered the Windies into the Super Six of the ICC Cricket World Cup Qualifier 2018 with a convincing 52 runs victory over Ireland in a Group A match, while Zimbabwe also maintained their unbeaten run in Group B and progressed to the next stage with an 89 runs victory over Hong Kong on Saturday. 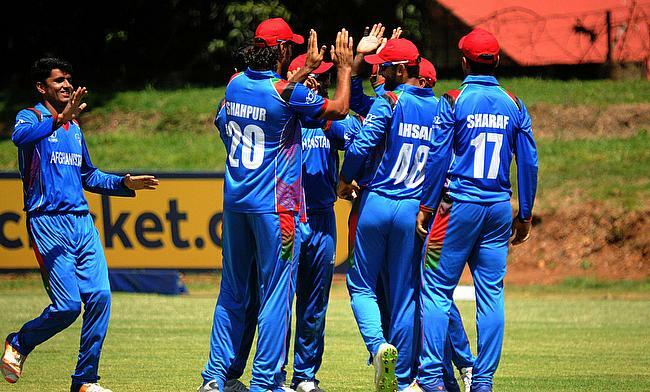 Having lost all their three games so far, Afghanistan face Nepal in a must-win Group B encounter of the ICC World Cup Qualifiers 2018 tournament in Bulawayo. 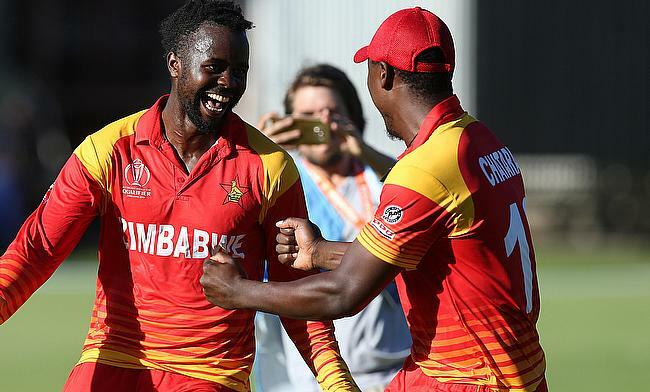 Zimbabwe will be aiming to seal a place in the Super Six when they take on Hong Kong in the 15th game of the ICC World Cup Qualifiers in Bulawayo. 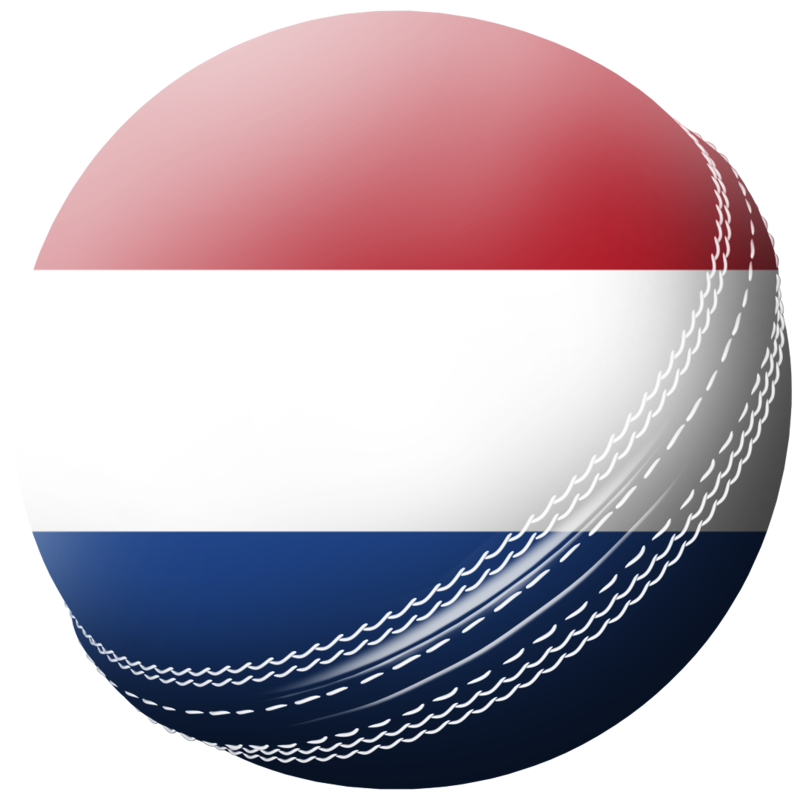 Netherlands will be hoping to keep their ICC World Cup Qualifiers 2018 campaign alive when they face Papua New Guinea in the 14th game of the tournament in Harare on Saturday. 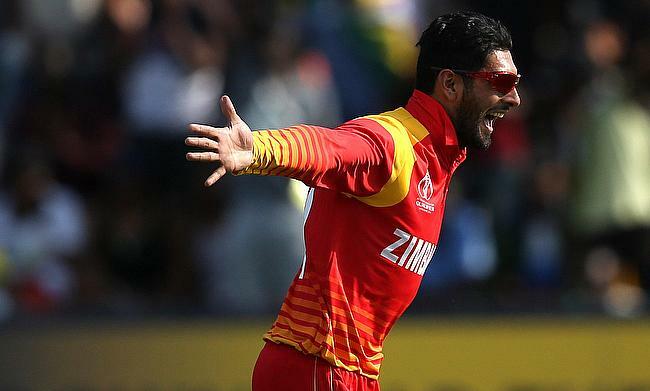 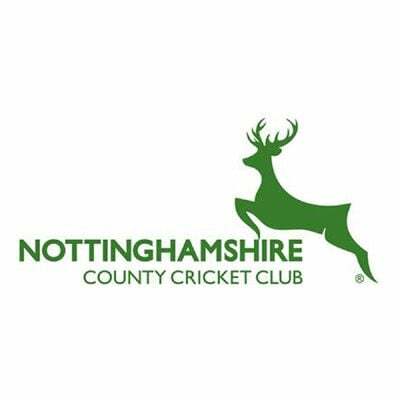 Zimbabwe’s Brian Vitori has been suspended from bowling in international cricket with immediate effect after the Event Panel of the ICC Cricket World Cup Qualifier 2018 confirmed that the left-arm fast bowler uses an illegal bowling action. 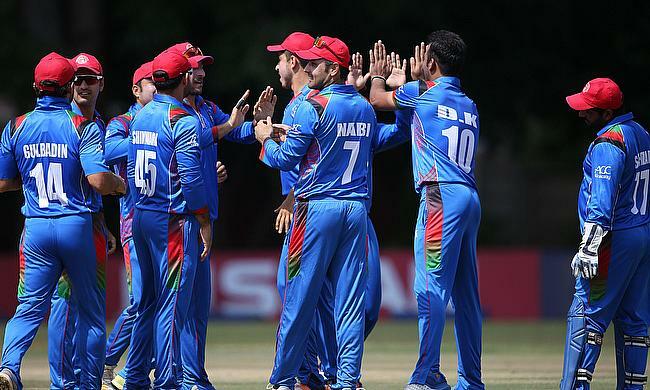 Having entered the tournament as favourites, Afghanistan now find themselves in a must-win situation when they face Hong Kong in the 12th game of the ICC World Cup Qualifiers 2018 encounter at Bulawayo Athletic Club. 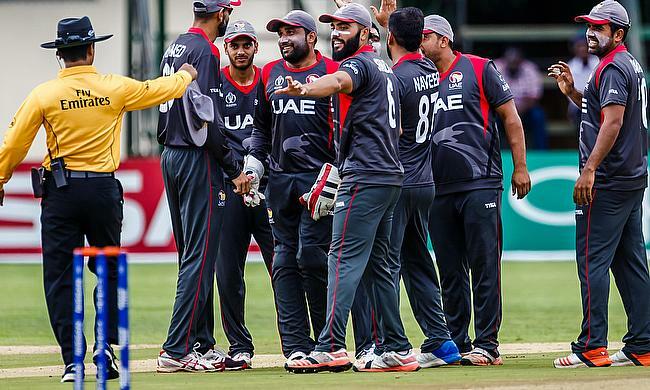 With defeats in both their games, Papua New Guinea will be desperate to keep their hope alive when they face two-time World Champions West Indies in the 10th game of the ICC World Cup Qualifiers 2018 at Old Hararians Sports Club. 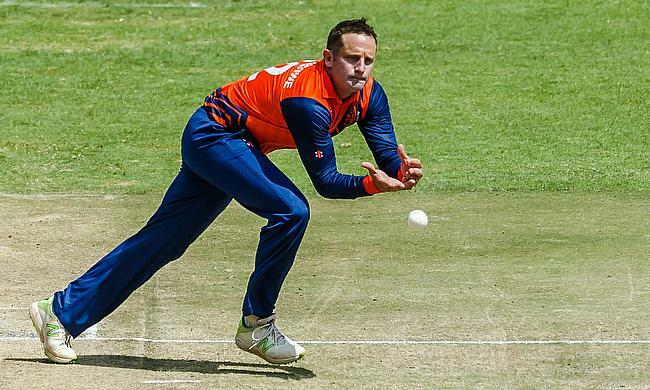 Both Netherlands and United Arab Emirates will be hoping to get their ICC World Cup Qualifiers campaign on track when they lock horns with each other in the 9th game of the tournament in Harare. 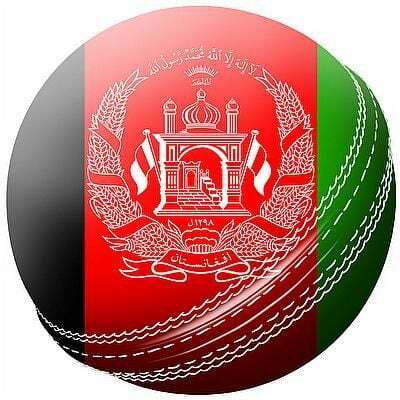 Afghanistan wicket-keeper has been handed a two-game suspension by the International Cricket Council following a breach of conduct in the recently concluded ICC World Cup Qualifiers game against Zimbabwe.